Alarm Pro Muskoka Limited, commercial and residential alarm and security solutions. We specialize in residential & commercial alarm installation, monitoring intrusion, camera & video surveillance. Contact us for a FREE estimate. 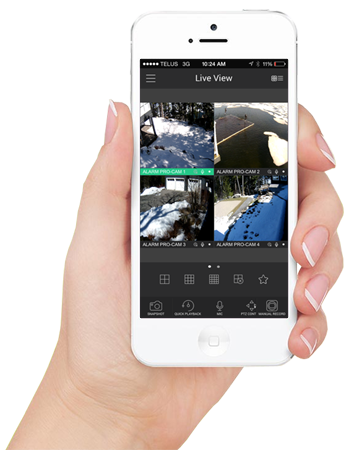 Alarm Pro Muskoka provides a total security solution utilizing the latest technological innovations. Alarm Pro Muskoka is a small business that is dedicated to and proudly serves the Muskoka community. Get a free zero commitment estimate for any residential or commercial location seeking security services. Cottage, home & business alarm & camera solutions.